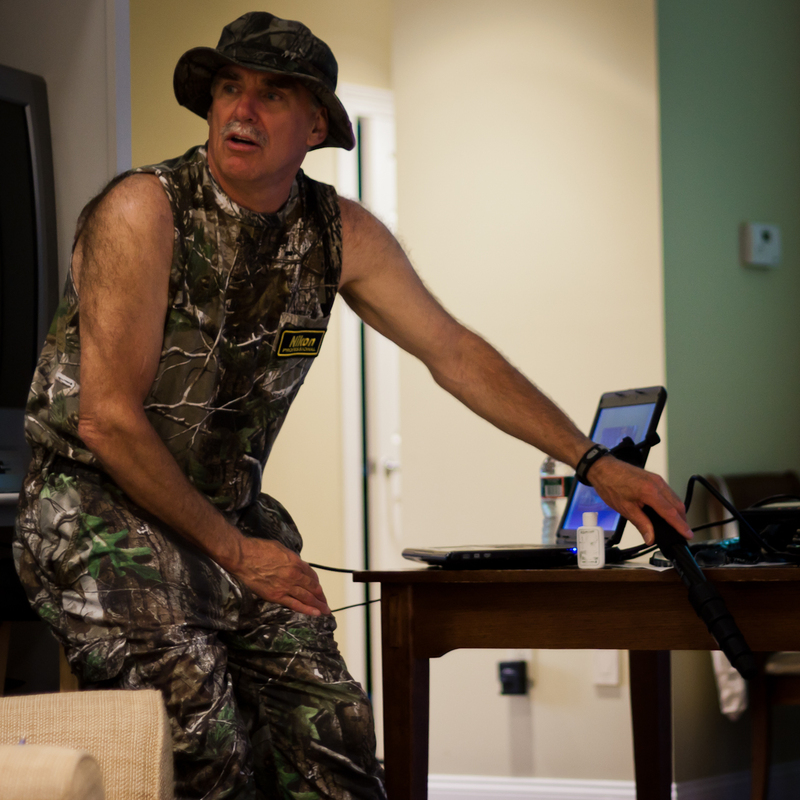 You are here: Home / Articles / The Hooksett SMUG “Got the Shot” with Ricky Libby! The Hooksett SMUG “Got the Shot” with Ricky Libby! 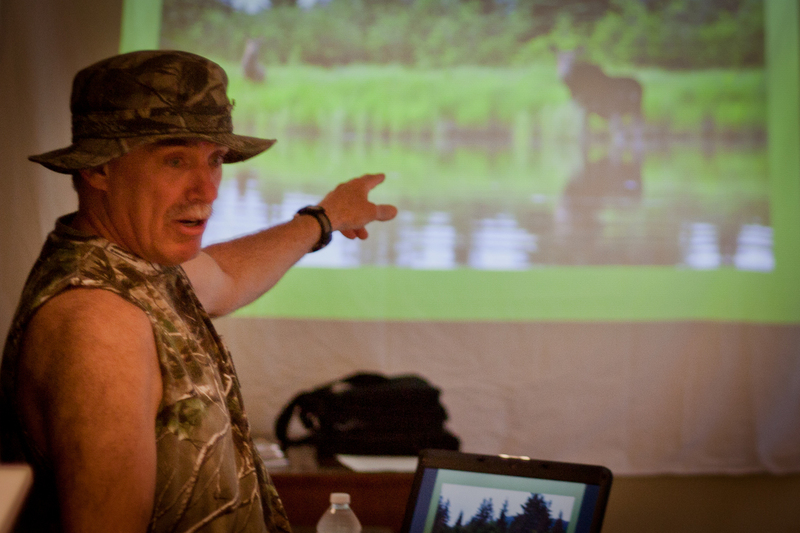 Rick Libby, or “Moose Man,” spoke with us at the Hooksett, NH SMUG as our first guest speaker! He discussed both his journey as a photographer and some of his photographic journeys. The underlying message Rick “Moose Man” Libby conveyed was what it takes to get the shot. Rick Libby doesn’t take photo walks; he escapes into nature for many days at a time, because that is the dedication it takes to take moose photos. “Being out in the wilderness,” he explains, “everything slows down for reasons of safety and preparation.” Armed with patience, and having a deep understanding of his subject, Rick Libby is able to be the Moose. For example, he explains how he first surveys the area from a kayak. He listens for key sounds, such as dripping water or splashing. This is a sign that a moose could be nearby feeding in the water! He also keeps his paddle perched across his kayak, instead of leaving it suspended in the water, to reduce the risk of unnatural noise. The “Moose Man” also explained the importance of keeping a journal. He uses it to identify moose and learn about his subjects. Through detailed notes, he is able to point out specific moose he has photographed over the period of years and tell their stories. 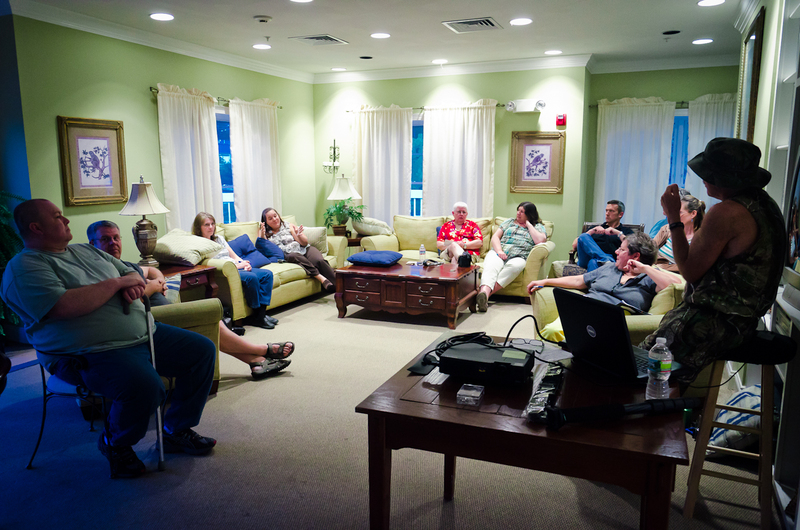 This was a great meeting to attend, because it opened the eyes of those who do not usually photograph wildlife. It's always nice to learn about new types of photography, which is why I love attending my SMUG!